Someone is now the proud owner of the issue featuring the first appearance of the world’s first popular comic book superhero, and it’s literally a SUPER purchase to boot as well! What is totted as “the finest known copy of the most sought after comic book in the world” has now been sold, as the most expensive and pristine piece of “Action Comics #1” has now been sold – for a whopping $3,207, 852 and with a CGC grade rating of “9.0”. 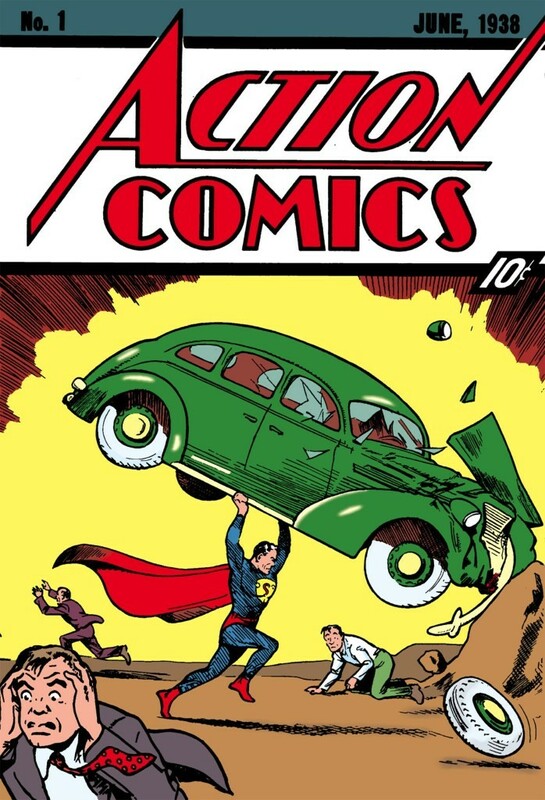 The issue, with a publication date of June 1938, featured the first appearance of several heroes and is considered to spark the beginning of the super hero genre. The most notable and popular character introduced of course was “Superman” – created by Jerry Siegel and Joe Shuster, who appears prominently in the cover and is the first story featured in the first 13 pages of the issue. This book features not only the first appearance of DC Comics‘ very own Man of Steel, but also that of his secret identity of Clark Kent, as well as his love interest Lois Lane. The sale of the unrestored and near perfect copy of the highly sought after comic book was made on August 24th on eBay, and was described as “A 1938 museum piece with PERFECT WHITE pristine pages“. The issue is considered the “Holy Grail” of the comic industry, and the last time a copy with a 9.0 grade was sold was in 2011. That authenticated piece of “Action Comics #1” formerly belonged to star and actor Nicholas Cage, and it was sold for $2.1 million. Action Comics #1 – Origin StoryFollowing the successful auction and sale put up by Pristine Comics, 1% of the proceeds will go to the Christopher & Dana Reeve Foundation. The late Christopher Reeve played Superman in the 1978 film of the same name directed by Richard Donner, and his role as the Last Son of Krypton remains one of the most iconic portrayals in film and popculture history. WATCH: “The Evolution of Batman in Cinema” tribute video!